Persistence pays off for this tenacious diver. 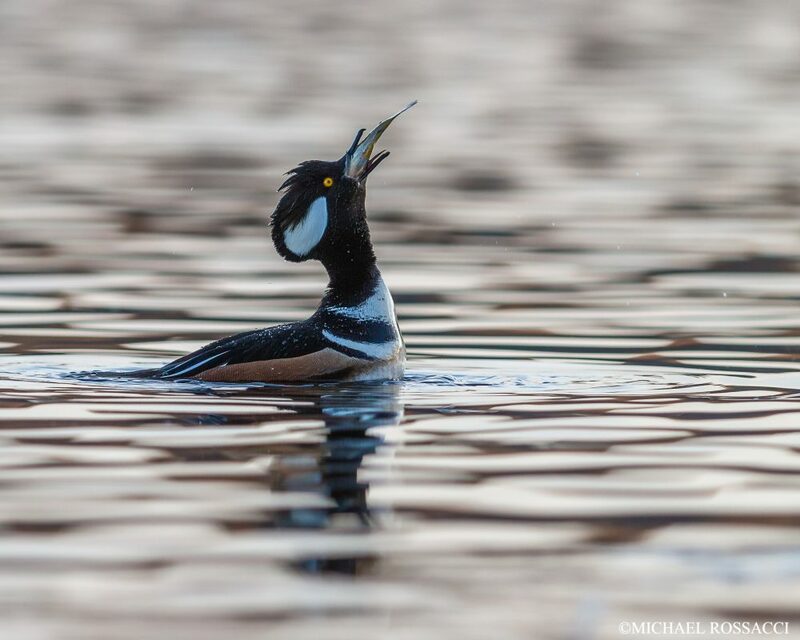 A fresh catch for this Hooded Merganser drake on a very cold late afternoon in January. In this image, I captured him tilting his head back as he worked on his meal. I photographed this bird using a Canon EOS 7D and a 300 mm F/2.8 L IS lens during the last few moments before sunset at Horn Pond, Woburn, MA.